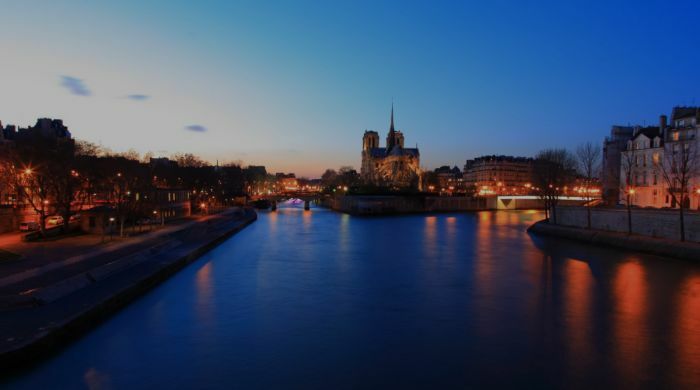 From the foot of the Eiffel Tower, cast off aboard a cruise ship, and embark on an unforgettable trip down the Seine. For over forty years Vedettes de Paris has been taking guests to discover Paris in original ways, thanks to its thematic cruises. You’ll be charmed from the instant you’re on board and all throughout the hour-long trip, which includes commentary in 3 languages, and takes you to discover Paris’ exceptional monuments, with cruises departing from the ideally situated, foot of the Eiffel Tower. Notre-Dame, the Louvre, the Pont Alexandre-III, the Institut du Monde Arabe, and the Musée d’Orsay will all unfurl before your dazzled eyes. Thanks to panoramic views from the heated, glass-encased main deck, you won’t miss any of the show. On sunny days, climb up to the terrace on the upper deck, or settle at the front of the boat, with the wind in your hair. In winter polar fleece throw blankets are put at your disposal. A bar on board sells sweet and savoury snacks for the whole family, or liven up your romantic getaway with a glass of champagne. 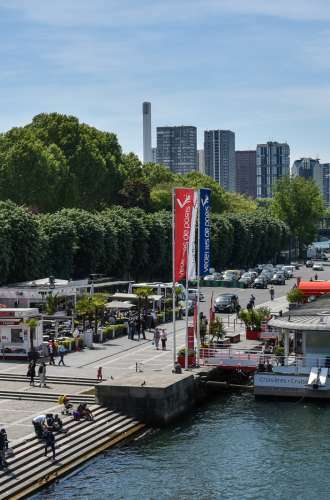 The restaurant, Terrasse des Vedettes, in front of the boarding dock, provides two different lunch services to satisfy your cravings, whether for grabbing a quick bite to eat, or sampling French gastronomy. 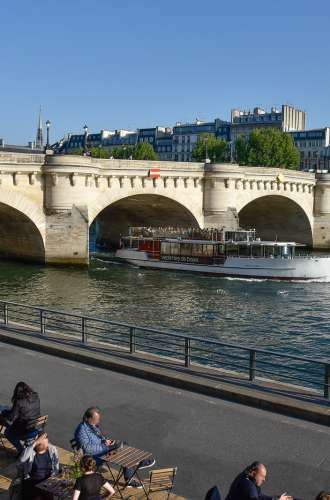 The restaurant also boasts a panoramic view of the Seine and the Trocadero. 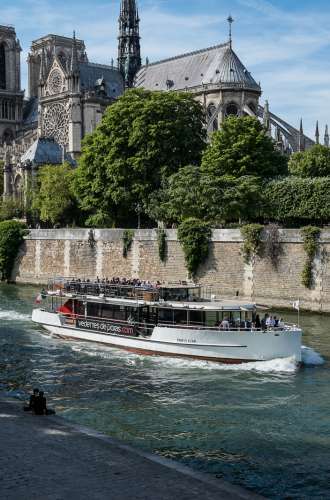 TOP TIP: the one-hour cruise on board the Vedettes de Paris is included in the Paris Region Pass. All year round between 11 AM and 9 PM. High season: 10.30 am to 11 pm (boats depart every 20-30 minutes). Low season: 11 am to 9 pm (boats depart every 30-45 minutes).